The new book by Cathy Covell, PT, an internationally known author, therapist, and lecturer, is now available. Cathy combines her years of experience as a therapist with her own journey of healing from physical and emotional pain to create a book that can truly help people on their journey from pain and dysfunction to healing. What is Feeling Your Way Through about? 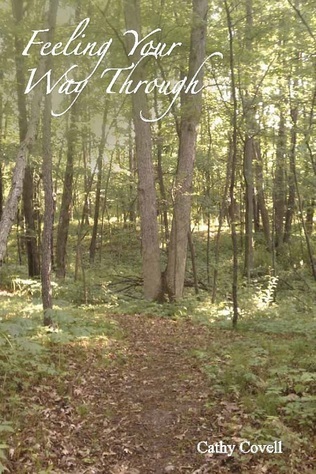 This book is divided into six sections that will guide you through some of the dynamic options for each person's healing journey, and will help the reader feel through their own true path. Who would benefit from reading Feeling Your Way Through? Anyone who wants to learn how they can break free from their personal, emotional, spiritual or physical limitations. Are you ready to really start to live? How is it different then other books about healing? Most books focus on changing your thoughts, but do not go into how to truly heal down to the cellular level. This book focuses on getting to the root of the cause and healing there instead of focusing on controlling the symptoms. 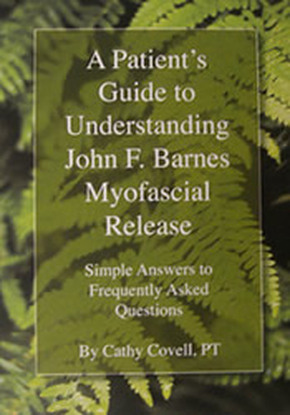 Cathy's other two books are great resources that provide easy to understand answers to the most frequently asked questions about John F. Barnes' Myofascial Release. 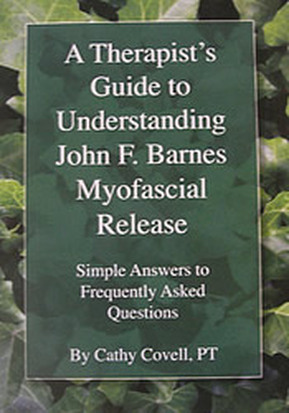 These books help both patients and therapists obtain a better understanding of the Myofascial Release process. The Therapist book has great reminders that will enable therapists to continue to improve their skills. The Patient's book will enable patient's to understand the MFR process quicker. This in turn helps the patient see quicker results. Many therapists purchase the Patient's version to give to or sell to their patients. The therapists have found that their patients are able to understand Myofascial Release much quicker when they have read the book. Both books cover the basic questions, but they have a different tone- one geared toward a patient and the other geared toward a therapist. The therapist's book also has extra chapters that focus on issues like improving skills and dialoging. How is JFB-MFR different from other forms of therapy? There are 27 chapters in the Therapist's guide and 23 chapters in the Patient's guide. *If you are ordering from outside the USA, please call us for your shipping and handling cost.